Very Good. Trade paperback (US). Glued binding. 243 p. Applied Computing. 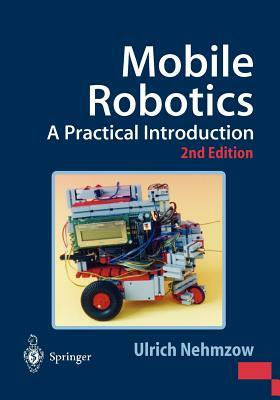 This text introduces the fundamental concepts of this complex field via 12 case studies which show how to build and program robots. It is designed for a general scientific audience, and should be useful reading for final year undergraduate students and postgraduate students studying robotics. New. Trade paperback (US). Glued binding. 280 p. Contains: Illustrations, black & white. Good. Trade paperback (US). Glued binding. 256 p. Applied Computing. Audience: General/trade. SOFT COVER(ST1416) FOLLOWING SPECIAL DESCRIPTION CAREFULLY: This sale is for a used Soft Cover Book: This book may be Contains writing Marking, Highlight, Answers for most Questions, Notes, Names, Marker s Marks, and/Under-lining. Back and front cover wrinkled & creased (YES), Stem s binding (Good), Water damaged (NONE), wrinkled pages (yes). You will be at most 65% satisfied with this item or your money back guarantee.